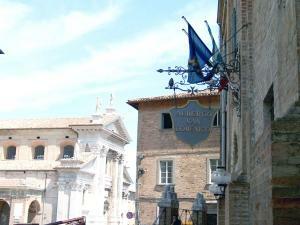 Santa Giulia Art & Wine Residence price per day from € 320 . Motel Autosole Vip price per day from € 80 Located only 1 km from Castelnuovo Scrivia, Motel Autosole Vip is just off the A7 motorway. All suites are air-conditioned and feature a sofa, and a sensory shower. 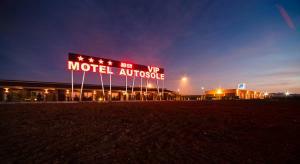 The Autosole Vip Motel is a 30-minute drive from Milan. The front desk and the snack bar are open 24 hours a day..
Hotel Langhe price per day from € 130 Set on the hills, 5 minutes' drive from Alba centre, Hotel Langhe features a wide garden with swimming pool. All rooms, set on different floors, are equipped with air conditioning and satellite TV. Their genuine hospitality will make your stay at the Langhe Hotel special..
Agriturismo Podere La Piazza price per day from € 70 . 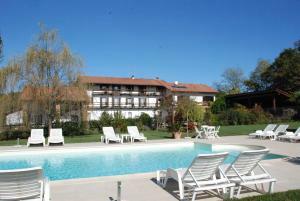 Pensione Duca price per day from € 75 . La Casanova price per day from € 80 Offering a furnished garden, La Casanova provides air-conditioned rooms, a sweet breakfast and free Wi-Fi. The private bathroom includes a hairdryer and free toiletries. La Briccola price per day from € 80 Set in its garden and surrounded by the countryside, La Briccola features a typical restaurant and spacious en suite rooms. An extensive breakfast is served daily and the property produces its own wine. Each provides facilities such as a flat-screen TV and independent heating. 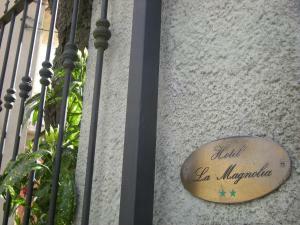 Hotel La Magnolia price per day from € 81 . Artesina: recommended ski resort for beginners. Pragelato: recommended ski resort for experts. Prali: recommended ski resort for beginners. Sansicario: recommended ski resort for experts. Turin. 257+ accommodation units !